April 9, 2013—Hello bloggers, reviewers, and book lovers! We know-this site is looking a little rusty. We had to set aside our book reviews for several months in 2012, but we are back and hoping that you will join us! So....out with the old.....in with the new! Thank you for being a fan of books! We love what you have to say! "We want our lives to leave a lasting legacy...This book helps you find your way. 5 out of 5 stars." 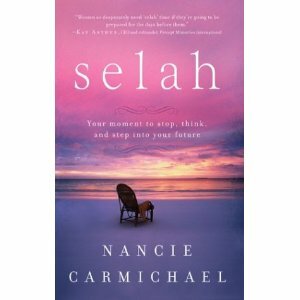 Editor's Note: While this title is not a Deep River Books imprint, it was written by DRB Co-Publisher, Nancie Carmichael. Selah. Just what does it mean? Depending on which version of the Bible you find, you are likely to see it a variety of ways and interpreted several ways. I find that the definition of Selah is a pause. It means to stop and think about what you just heard. Others say its a musical notation or interlude. Still others find its similar to the Hebrew word Calah, meaning to weight, to measure, to evaluate. Wherever you find it in the Bible, it seems the word is a boundary, a marker. A place to stop and observe, to be still. But regardless of what we cal lit, we need Selah in our lives - no matter where we are in our journey. Selah helps us remember who we are; it's a place to be still, to know God. It's a place where we can deal with choices and changes. In these pauses, we're reminded that we have a certain number of days, and we can ask ourselves, Do I want to spend the rest of my life doing what I'm doing? In these places, we see things we need to add or to let go. But we need these pauses in the presence of God to examine our priorities - to pursue what matters most. In the book, Selah by Nancie Carmichael, she helps the reader map out the next steps toward a more meaningful life - touching others, making positive changes, and leaving the legacy of a life well spent. She invites you to come alongside as she examines the lives of people who took defining steps to make a greater difference. Their wisdom can help you live with greater joy and a sense of anticipation. It's never too late to make your life count, no matter how old you are! I received this book compliments of Bring It On Communication for my honest review and think we all need a book like this one. It's never too late to take account of what you are doing in your life, where you are at and just what would you like to accomplish before you die. We want our lives to leave a lasting legacy and to make a difference in the lives we touch. This book helps you find your way, using biblical references from women in the Bible, such as the woman at the well! This one spoke volumes to me and offered me a different perspective that I needed in my life at 47, and for that reason I rate this one a 5 out of 5 stars. "The story is full of details that make it come alive for the reader...I laughed and cried with the family involved." Have you ever felt like you didn’t belong? Maybe as a child? 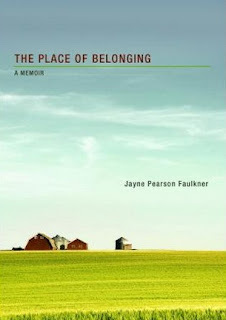 These are just some of the issues that Jayne Pearson Faulkner writes about in her memoir, The Place of Belonging. Janie (Jayne) grew up in Montana in the 1940′s. She was the daughter of an unwed mother, marking her as an outcast from the start. 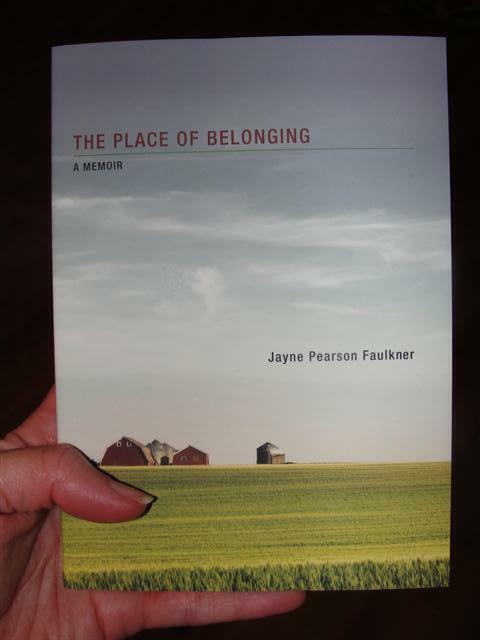 The heartwarming story takes you back to life in the 1940′s and reads almost like a diary, written by Jayne (Janie) as a child growing up. From the time Janie’s mother marries and leaves Janie with her grandmother (except for on weekends), to the point where Janie goes to live on the farm, the story is full of details that make it come alive for the reader. And throughout it, I had points I laughed and cried with the family involved. So, who would I recommend it to? Any girl,13 and up, can relate to Janie. And since Janie is not the only one who doesn’t feel like she belongs (through the course of the book it is evident that her mother wants very much to fit in too), I’d have to say it is a good and quick read for just about any teen girl or woman. You can find your copy at a number of locations, including Amazon for just under $11.00, and at Deep River Books. Looking for a great mystery? Read my review of The Key to the Kingdom, by Jeff Dixon. **I received a free copy of this book from Bring It On! Communications for review purposes. I was not monetarily compensated in any way for this review. All opinions are my own. "Tea Cup Art and Reflections would make a lovely gift for friends who enjoy art, tea, or photography. I simply couldn't put it down until I'd read it cover to cover." TeaCup Art... and Reflections is what I would call a 'coffee table book.' The stunning photography of teacups arranged in artistic scenes, printed on high quality paper is something I would leave out to look at over and over again, rather than hide on my bookshelf. When the book arrived in the mail I opened the package and began to thumb through it, thinking I'd pick it up later for a thorough read. That didn't happen... I simply couldn't put it down until I'd read it cover to cover. Ms. Wilkins has made each of the very unique teacups come to life by placing them in appropriate settings and including a brief story of each cup. I was fascinated by the cups from other countries and the explanation of their symbols and designs. Some of the pages include humorous stories about how the author acquired the cup. Teacups make me think of quiet afternoons spent with friends. Tea Cup Art and Reflections would make a lovely gift for friends who enjoy art, tea, or photography. It would also be a nice addition to any waiting room. Disclosure: I received a free copy of this book from Bring It On Communications to help facilitate the writing of a frank and honest review. A positive review was not guaranteed, and no monetary compensation was received. All opinions are my own. "I loved being able to visualize where the characters were while they raced to solve the clues to the puzzle. Not only was the story entertaining, but I also enjoyed the Disney trivia and folklore that was scattered throughout the book." After experiencing the magic of Walt Disney World this summer with our kids, I was really excited to discover a mystery book that revolves around the theme park. After reading it, I have to say my initial expectations were surpassed, and I’m now looking forward even more to future visits to Walt Disney World. What book am I talking about? 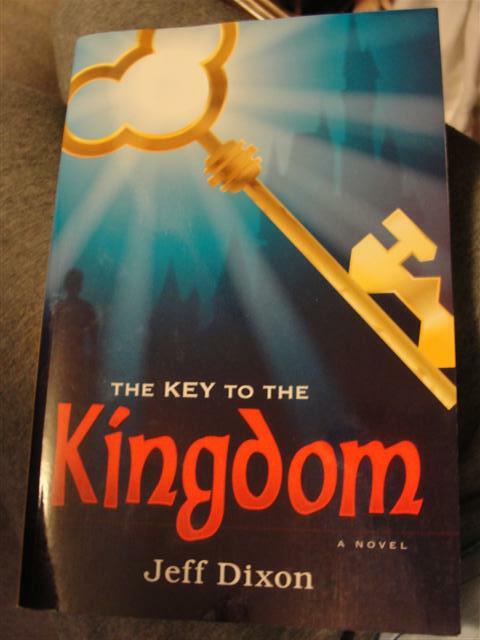 The Key to the Kingdom, by Jeff Dixon.The main character of the book is Grayson Hawkes, a minister with a penchant for Disney trivia. Hawkes gets pulled into an intriguing and complex puzzle while trying to figure out the mysterious disappearance of his dear friend, Farren Rales, a Disney “imagineer.” Before disappearing, Rales gave Hawkes a very unique key, the Key to the Kingdom, and told him to not only treasure it, but to use it. This key becomes a central piece to unlocking the pieces in the puzzle. 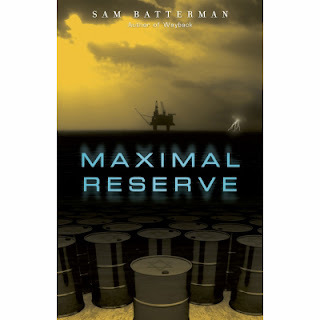 Dixon’s characters are well written and fun to travel with through the course of the book. Each evening as I read, I found myself drawn into the storyline a little more, trying to solve the clues alongside Hawkes. Having been to The Magic Kingdom recently, I loved being able to visualize where the characters were while they raced to solve the clues to the puzzle. Not only was the story entertaining, but I also enjoyed the Disney trivia and folklore that was scattered throughout the book. So, would I recommend this book? Definitely! In fact, I told my husband it has to be next on his reading list because I really want to be able to talk to someone about the story. If you are looking for a quick, fun read you can find Jeff Dixon’s The Key to the Kingdom at Deep River Books or on Amazon for $10.87 at the time of this review. Also available on Kindle and Nook. "Can be used as a great counseling manual for anyone wanting to get married, build their marriage, or save their marriage." This book caught my attention just by simply reading the back cover. The book can be used as a great counseling manual for anyone wanting to get married, build their marriage, or save their marriage. Although the book is written for Christians, it can be used for anyone. The book offers tons of principles that can help create healthy relationships. The book is backed up by statistics, examples, and scriptures. As Mr. Campbell states, in a marriage you work together as a team. I agree with that statement. As my husband and I have issues as any marriage, I love the fact that we work together as a team. From parenting to finances, and bonding. He uses the example that I find so true: "If you were buying a car and the dealer told you that it had a 50% chance of being a lemon, would you buy it anyway?" Each chapter in the book has such great topics, real-life examples and scriptures that your and your spouse will find so helpful. The statistics are staggering. One out of every two marriages today will fail. What is the cause of such staggering statistics? What, if anything, can be done to keep couples together? This book offers concrete principles for building and sustaining a sound marriage. It outlines the most common causes of marriage failure and offers sound principles to avoid or correct such problems. Those who are considering marriage as well as those who have been married for years will benefit from real life examples and principles that they can apply to their own marriages. Beating the Marriage Odds also provides a valuable resource for pastors, small group leaders and counselors. After graduating from Bradley University with a Bachelor of Science Degree in Business Administration, William R. Campbell went on to have a successful career in publishing. After retiring to a rural Montana Community, he returned to Seminary where he earned a Master of Arts in Religion with an emphasis on counseling from Trinity Evangelical Divinity School. He has also earned a certificate in biblical counseling from the American Association of Christian Counselors. Buy: you can go here and order from Amazon for $11.69. Disclosure: I was sent products for free to review for my honest opinion, from either a PR agency or a company. Regardless, I only recommend products or services I use personally and believe will be good for my readers. 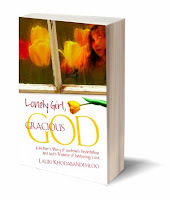 "Wonderfully inspiring book about a mother's journey with an autistic child and her faith in God"
Chicken Soup for the Soul contributor Lauri Khodabandehloo takes us on a journey down the broken road that leads us to the truth of God's overwhelming faithfulness, and His promise to never leave us as she shares the special bond between those who are challenged with a developmental disability and the people who love them. "From the moment of her birth, Farema was not like her sisters. She didn’t respond normally to sounds or the touch of a hand. She was different. Embrace this mother’s deeply personal account of tragedies and triumphs, along with joys and sorrows of raising a child with the devastating disability of autism. When lives have been turned upside down and we have nothing left to cling to, God offers amazing grace to find encouragement and authentic hope in the face of overwhelming confusion and grief." I had the privilege of reviewing this wonderfully inspiring book about a mother's journey with an autistic child and her faith in God to help her through it all. Knowing from pregnancy that something was wrong and fighting what she knew deep down inside is a testament to the intuition we all have but need to listen to more often. Reading how she ultimately dealt with the diagnosis and found the inner peace to accept it was very motivational. I highly recommend this book to anyone who finds themselves wondering why. I received a copy of this book free, in exchange for my honest opinion. "[The illustrations] are very bright and colorful, and really make the story come to life." Published in 2011 by Fish Pond, a division of Deep River Books. 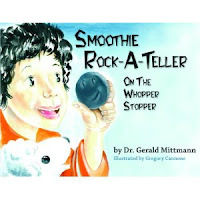 Smoothie Rock-A-Teller is a children's book about David and Goliath, told from the perspective of a rock. There are 5 chapters and each chapter ends with a Devotion Time. The first chapter is about being made by God, the second chapter is when we meet Goliath, the third chapter is when we meet David, the fourth chapter is when David goes to the Israel camp, and the fifth chapter is when David defeats Goliath. Each devotion time at the end of each chapter asks questions about the story and ends with a prayer. Since this book is told from the perspective of a rock, the rock re-names everything according to it's perspective. Here are some examples of the rock's new names: a fish is called a "wiggle-mover," people are called "talking-walk-abouts," and sheep are called "baa-baa-mini-cloud-walkers." It took my 4 year old son and I a couple of months to read this book. It is 52 pages long, and I don't think it's appropriate for a 4 year old. Since the rock re-names everything, it's very difficult to follow who's who in the story, especially if there's some time gaps in between the days when you read it. Also, 4 year olds are already trying to figure out the right name for things, so when things are named the "wrong" thing, it makes it difficult to keep everything straight. The questions at the end of the story are great, but again, my 4 year old wasn't able to answer most of them. I did really like the illustrations in the book, though. They're very bright and colorful, and really make the story come to life. I think we will try reading it again when he's at least 6 years old. I think my son would be able to appreciate and understand this book much better then. If you would like to buy this book for your own boy or girl (I do recommend ages 6 and up), it sells for around $10 on amazon.com. Have any of you already read this book with your child? What did you think? I received a copy of this book for free, in exchange for my honest review. "I love this book! Full of pretty pictures of teacups." Like art, life can be splashed with expected and unexpected curves and colors, offering chances to take a good long look, simmer on your reflections, share your thoughts, and to listen to others…to learn to respect and appreciate our diversity, especially when blended with the perfect symbol of hospitality, the teacup. Teacup Art . . . and Reflections is a dazzling display of teacups from around the world that are steeped with stories. Photographed with flair and uniquely showcased, artist and photographer Joyce Wilkens ignites your imagination beyond the porcelain on the page. Each image sparks mystery, wonder, laughter, and feelings of peace, and might even make you cry as you reminisce about your own stories. . . where you have been, where you are going, and what inspires you. I love this book! Of course that could be because I collect teapots and I adore teacups! This book is full of pretty pictures of teacups. This book is also full of great stories and is a very fun easy read. You can purchase TeaCup Art at Deep River Books. ~I received a product sample in order to write my review. I received no monetary compensation. All opinions expressed are mine. "This book is a powerful tool that should be read by every single looking to tie the knot"
It's no secret that America's divorce rate is 50%. What may surprise you is that this is true, even of Christian couples, those who vow before God to stay together "until death." It's shocking and sad. But it doesn't matter whether you are Christian or not. If you have the average American mindset, and you're thinking about getting married, you've got a 50/50 chance of staying married. Whatever happened to lifetime commitment? Is it possible to stay married, and never divorce? 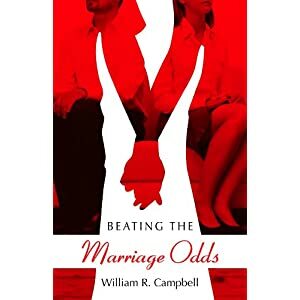 In his book, Beating the Marriage Odds, William R. Campbell says, resoundingly "Yes." But wait a minute. Mr. Campbell has already been divorced... so what does he know? Well, I read his book, and I'd say he knows a great deal. I've only been married since 2008, but that's already longer than many of my peers. And I'd state, without hesitating, that I have a solid marriage. How? By the training of my own parents, and the counsel of long-married couples in my church, before we wed, my husband and I read a book similar to this one. If I were to sum up what this book advocates into just one word, it'd be Teamwork. In my own experience and observation, I'd say Campbell's right. No marriage--or other relationship, for that matter--can survive without teamwork. That means truly honest communication between partners, unqualified mutual respect, and determination to make it work. As Campbell points out, if you go into marriage thinking of failure, you're highly likely to fail. If failure isn't ever an option, you're much more likely to succeed. Each chapter in this book focuses on one principle that any marriage--Christian or not--must have, in order to last. Actual examples illustrate the concepts, and Scripture and statistics are used to support them. In the back of the book are study helps that can be used by counselors or by a couple to help take each of these principles and apply them to real life. This book is a powerful tool that should be read by every single looking to tie the knot. Can't honestly see any, unless you have a hard time reading books about marriage written by a previously divorced author. I personally like his unique perspective. This product was provided, free of charge, to Graphoniac for review. All opinions are my own. "...Comes with an audio CD. This is such a well-done accompaniment...the background music provides just the right amount of mood for the story." Meet Pookster - a little girl who just happens to think that teeth are highly overrated and keeping them in too long can be hazardous to your health. Meet Bubs - her big brother who would be perfectly okay if a tooth NEVER came loose! Too bad Pookster has to learn the hard way that sometimes it’s better to wait on God than it is to do things on your own! It’s funny - she wanted so badly to lose them….now she just really wants them back! This lesson on patience will make the young reader laugh and the old reader recall the days of loose teeth, dental floss, and a doorknob….need I say more? Almost all children who get a loose tooth become impatient to get it out whether they believe in the tooth fairy or not, it’s like a rite of passage, get the tooth out at the first wiggle. Using verse Isaiah 40:31 “But they that wait upon the Lord shall renew their strength; they shall mount up with wings as eagles; they shall run, and not be weary; and they shall walk, and not faint.” to tie in the theme of patience brings a wonderful story back to the Lord. Colorfully and cartoonish-ly illustrated this book will appeal to all ages, all three of my children enjoyed and I even found myself enjoying the pictures and the story as well. I can still remember the time that I had a very loose tooth and I wanted it out – so my dad tied it with string or maybe it was dental floss to the foot of the rocking chair and had one of my brother’s rock it. The tooth stayed in but I was in a lot of pain. If only I’d had Pookster and Bubs to teach me the value of being patient when waiting for a tooth to fall out. 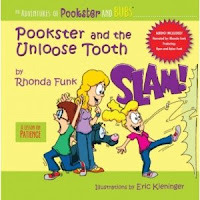 This paperback book comes with an audio CD that is narrated by the author, Rhonda Funk with help from Ryan and Rylee Funk. This is such a well done accompaniment to the book, the background music isn’t overpowering and it provides just the right amount of mood for the story. It’s perfect for listening to in the van on long trips or even short trips. Oh and for anyone who is wondering, there is no tooth fairy just praying to God and learning to let Him remove the tooth. Order Pookster and Bubs and the Unloose Tooth here. **I was given a copy of this book from Bring It On! Communications in exchange for my honest opinion, no other compensation was given. "By the end of the book, the overwhelming feeling is one of awe." 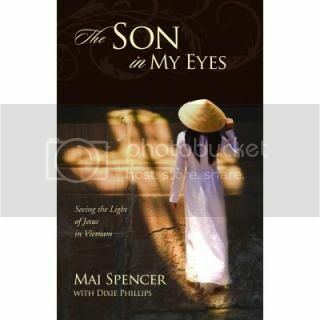 The Son in My Eyes is the auto biography of Mai Spencer, a Vietnamese lady who has seen the hand of God working through even the most dire of circumstances. As a child, she lost family members to war and sickness, and nearly lost her own life when Agent Orange was sprayed over the jungle--and over her!--to destroy the broad leaf plants near her village. She endured beatings, railings, rejection, raids, poverty, abandonment, and so many more unspeakable things. In her autobiography, her reflection on her life, she sees those events not in a bitter light, but in the light of grace. After having married an American and moving to the States, Mrs. Spencer became a Christian. She left all her Buddhist traditions. She began following God with her sensitive spirit, and ultimately started a ministry in Vietnam, investing in lives and making a difference one child at a time. The Son in My Eyes tells, first hand, how God used each of the difficulties in her life to prepare her for this ministry. The writing is clean and easy to read, though it takes a little getting used to Mrs. Spencer's gut-level honesty. She doesn't sugar-coat anything: this is a tough, tough read. I admire her transparency, telling her painful story with such openness had to have been hard. Through that transparency, you can't help but see her amazing heart. Towards the end of the book, Mrs. Spencer notes that while some come to Christ immediately, others, like herself, come to Him "inch by inch." She goes on to explain that God doesn't waste trials, but rather uses them later in life to bless others. And that's where she's at now: blessing others. If you're a stickler for writing style, you may notice a few rough spots where flow is iffy at best. Sometimes it's hard to see the relevance of what she's telling us, and sometimes it's just hard to keep up with the story. After a little while you adjust, though, and it feels like you're sitting in this sweet lady's front room while she shares the stories that come to mind. By the end of the book, the overwhelming feeling is one of awe. How God can take such horrible, terrible experiences and use them for good... well, I won't spoil it: go read it for yourself. The hard-to-read stories are tempered with knowledge of God's grace, and often scriptures. It's clear that the author is not bitter, and wishes to share her story of God's protection through very, very difficult times. The author is courageously honest, sharing good and bad alike. Even with the story-telling style, the grammar is correct and easy to understand. Intense situations, told rather matter-of-factly, may be hard to read for some, especially if they come from abusive families. This product was provided free of charge to Graphoniac for review. All opinions are my own. 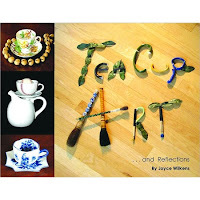 "This is a fantastic book to leave out for guests to see"
TeaCup Art is a collection of teacups displayed in an array of artistic scenes, reflected on by author Joyce Wilkens. 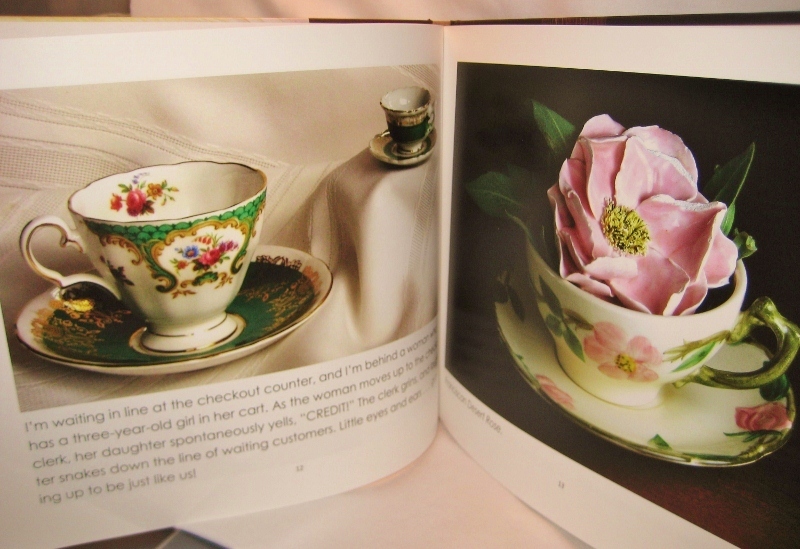 I have never given much thought to teacups prior to seeing this book, but I was drawn to the beauty of the photos. People have sat around for generations, in all countries sipping tea, sharing their lives and conversation in a multitude of different styles of teacups, each with their own stories. Teacups conjure up thoughts of warmth, friendship and a break from the daily grind. Joyce takes each teacup and either it’s heritage or something from its characteristics and designs a scene to photograph. I love the artistic edge she gives to the simplicity of a teacup, bringing to life its stories and the life it has lived. The variety of cups is so fun to see and I imagine collectors of teacups would love to see her collection in photos. I have been inspired to firstly use teacups a bit more, not always coffee mugs, and to keep my eye out for unique teacups to collect. This is a fantastic book to leave out for guests to see, and lead into a discussion of cups they have used and seen. I loved the concept of the book and the combination of Joyce’s reflections and artistic photos. I received a copy of this book from Bring it On Communications in exchange for an honest review. "I cannot begin to tell my readers how wonderful this book is"
Raised a poor, young, Buddhist girl during the time of the Vietnam War, Mai Spencer nearly lost her life after being exposed to Agent Orange. Overcoming tremendous obstacles, and surviving the effects of the war, she found a sense of security in her new husband and life in America. It wasn’t until after three of her four children died prematurely, Mai turned from the false god of her childhood and cried out to Jesus, the Son of the Living God. The Son In My Eyes – Seeing the Light Of Jesus In Vietnam, is a dramatic testimony of forgiveness and hope, and tells how God made Mai into a woman of destiny when He called her to return to Vietnam and build a church there. I had no idea what to expect when I first began this book, I mean I knew it was about a woman who was born and raised a Buddhist in Vietnam but beyond that I really didn’t know. I cannot begin to tell my readers how wonderful this book is – even though you’ll read about the horrible things that happened to Mai as she grew up, you’ll see the wonderful woman that becomes one of God’s own children who is loved and protected even before she knew Him. There were times that Mai should have been in a place where she would have been killed but God’s providence protected her – she didn’t know God but she knows now looking back that God indeed did protect her even while she was a Buddhist for His purposes. She has sprinkled Scripture that means something to her or backed up what she was going through at a time in her life, even adding in Scripture that she later learned was applicable to her early life. God can call even the hardest of hearts to Him even if at the time, that heart doesn’t recognize His sovereignty. I have experienced this to in my life that God protected me even when I turned my back and hardened my heart toward Him, he kept me from things that would have all but ruined my life. Travel with Mai from the time in Vietnam as she lives life with her dysfunctional family and on to her time in America with her husband and her children to being a successful business woman that begins church planting in her home country. I have to say I loved this book even the pages that made me want to cry at her losses and the way she was treated as a child, this book was moving and so inspirational. I will say the use of the word spanking was used interchangeably with beatings – that is the only thing I had an issue with – in that spankings aren’t the same as beating and abuse. However, that being my only disagreement with this book, I wouldn’t let that deter me from reading it as I loved seeing how God was working in Mai’s life before she ever came to a Saving Faith in the True Savior. **I was given a copy of this book from Bring It On! Communications in exchange for my honest review, no other compensation was given. "Once I read the first couple pages I was hooked! Mai Spencer touched my heart." I must admit, when I first read the title and realized it was a Vietnam story, I didn’t think I was going to like the book. Once I read the first couple pages though, I was hooked! Mai Spencer touched my heart as I read page after page of her life growing up as a poor Buddhist girl in Vietnam. She nearly lost her life as a young girl when she was exposed to Agent Orange. But that was only the beginning. Spencer was faced with many more obstacles that she was able to overcome over the years. She ended up finding true love when she met her American husband and moved to the United States with him. The tragedies kept coming though. Three out of her four children died prematurely and that’s what began to lead her to a life with Jesus. Even though Mai was raised in a Buddhist home, she knew that false god wasn’t who was protecting her. Spencer began to cry out to Jesus and she was saved! Spencer’s love for God was so strong, she even gave up her successful business to return to Vietnam and build a church there. Her and her husband, Dennis, plan to spend the rest of their lives changing the hearts of the Vietnam people to follow Jesus. They are also the founders of Jesus in Vietnam Ministries. You can visit them here. Mai Spencer demonstrates forgiveness and hope. She is such an inspiration to me and hopefully she will be for you as well. If you’re ready for your life to be changed, The Son in My Eyes is available for $14.99 at Deep River Books by clicking here. It is also available on Amazon at a more competitive price by clicking here. Editor's note: Jennifer feels so strongly that this book should be shared, she is giving away a copy of "The Son in My Eyes" over at her Heavenly Mommy blog. Stop by before Sept. 9 at 9pm PST to enter. Thanks Jennifer! *I received a free copy of this book from Bring it On! Communications for review purposes. I was not monetarily compensated for this review in any way. All opinions are my own. "A good coming-of-age story & one that I think all of us can relate to." Kathleen is a young thirteen year old girl dealing with the thoughts and emotions of a young teenager and the additional struggles of having disconnected parents. As she is dragged along to another “artist colony” with her artist mother who is seemingly ignorant of her daughter’s feelings, Kat resigns herself to another long summer. She feels abandoned by her father, who doesn’t care enough to join them, and is angry at her mother for being wrapped up in her own artist world. Kathleen begins the summer with a bitter attitude and seems determined to not enjoy herself. She resists efforts in friendship from resident 16 year old, Malcolm, who has Down Syndrome. She could care less about others and runs away at one point, only to stumble into a church camp, who safely returned her home with a Bible. Later, Kat would look back at that as a defining time in her life when the Lord’s hand was clearly apparent in her life. As the summer continues, so does Kat’s sullenness, but she starts to notice Malcolm’s happy selfless attitude and also that of his eccentric caregiver, Jeanette. Despite her repeated rebuttals, they continue to show her love and friendship and it becomes obvious to Kat that there is something different about them. Throughout continued family problems with her mom, dad, and grandparents, Kat realizes there is something solid and peaceful about Malcolm and Jeanette. They had far from ideal lives, yet they lived so differently from her. By the end of the summer, Kat is forced to look deep into her own heart as Malcolm’s health comes into jeopardy. The author, Nan Corbitt Allen, writes with a candor and style that really paints a deep picture of emotions. It was wonderful to read of Kat’s change of heart. This is a good, coming-of-age story and one that I think all of us can relate to, to some extent or another. Buy It: You can buy Watercolor Summer on Amazon.com or other retail bookstores. Disclaimer: Thanks to Ariel & Kit from Bring it On Communications for providing me with this book to read and review. This was not a paid post and the opinions are solely my own and were not influenced by the sponsor. "This book is definitely thought-provoking"
Science and the Biblical Creation Story conflict, right? That's what many believe, but Steven L. Ross explains how the findings of mainstream science and archaeology actually parallel the Creation Story. 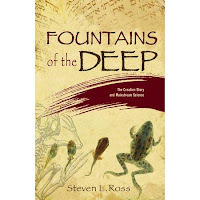 Using scripture from the King James Version of the Bible, Strong's Concordance with Hebrew Lexicon, and the Transliterated Pronounceable Bible, Ross takes us step by step, verse by verse, through the creation story in this fascinating study. Ross proposes that religious tradition and the simplified flannel board Bible stories we heard as children may seem to conflict with science, but a more literal reading of the Bible's Hebrew language is, in fact, in agreement with science. Given the nature of this subject, it's not surprising that Fountains of the Deep is written on an academic level, and is not a book you'll want to read to put you to sleep at night. It requires your focus and dedication... and, believe me, you'll need a highlighter too. Even though Ross has studied and researched this material for forty years, he urges the reader not to consider this the 'end all' to the debate, but rather to use his writing as a springboard for our own research. Whether you agree with Ross' explanations or not, this book is definitely thought-provoking, and worth reading. I'm loaning my copy to a friend, and when it's returned I plan to re-read it. It's the type of book which will prompt new thoughts and questions each time it's read. Tell Us The Truth Reviews! "Her words may be just what (families living with autism) need to get them through the difficult times." The story outlines the struggle of a mother (Lauri) whose youngest daughter (Farema) is born with autism during an era when little was understood about the disability. Lauri writes about the struggles she faced dealing with not only raising (and diagnosing) an autistic daughter and the guilt and doubts she felt - but also raising her three older daughters and supporting her husband in a blossoming restaurant business. In the book, Lauri talks in detail about how navigating through life led her closer and closer to God during a time in which many mothers might have lost their faith. I thoroughly enjoyed this read. Lauri paints a picture of her beautiful daughter trapped within herself and their journey as a family to help Farema find her voice. 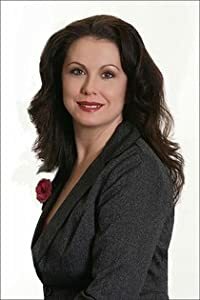 As a reader you experience the desperation that Lauri must have felt as a mother advocating for her child's future, as well as her own! My only criticism of this book is that there are no pictures of Farema. In a non-fiction read I always like to have an actual face to go along with the character. It makes my connection to them feel much more real. That said, I did visit the book's website - on which you can view photos and a video of some of the events described in the book. Over all, I was pleased with this read. There are a number of people that I would recommend it to, most specifically the families that I know who live with autism. So much of what Lauri wrote about is illustrated in the stories that I hear from those families, and her words may be just what they need to get them through some of the difficult times - while giving them somebody to rejoice with during the good times! Thank you to Bring It On! Communications for this opportunity! To read more reviews like this one, go to Tell Us The Truth Reviews! 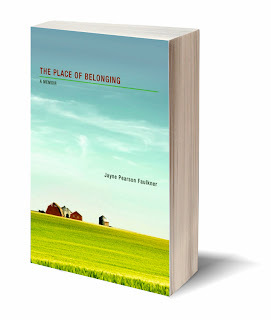 K. Dawn Byrd, Author: Register to win a copy of Jayne Pearson Faulkner's "The Place of Belonging"
Read a great blog interview with Jayne Pearson Faulkner, author of The Place of Belonging at K. Dawn Byrd's blog. Gotta love this book! K. Dawn Byrd, Author: Register to win a copy of Sam Batterman's "Maximal Reserve"
Learn more about Sam Batterman (author of Maximal Reserve and Wayback) at his blog interview posted today by K. Dawn Byrd. AND, enter for a chance to win your own copy! GRIPPING. FASCINATING. RELEVENT. "This self-help devotional, diet plan book is a keeper." There are 30 daily Princess devotions, Prayers and Treasure Truths along with "Love Letters" sprinkled throughout. Bonus feature of recipes and best diet secrets. This self-help devotional, diet plan book is a keeper. The 30-day book shares the heart of the author as no other book I've seen. The author shares from her personal road of being a food addict with an eating disorder. You be given a new reason to care for your body, mind and spirit. Find more information about this book here. A copy of this book was provided by BIO communications in exchange for my honest review. I love reading stories about faith! I am always amazed and encouraged at how powerful our God really is. 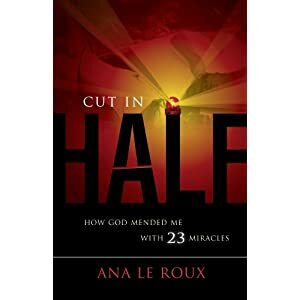 I recently had the opportunity to read "Cut in Half" by Ana Le Roux who "wanted to tell the world that miracle's happen everyday to everyone", and her story did not disappoint! After only a few weeks of her second child's birth, Ana and her family were in a terrible head on collision. Her husband and both her 3 year old daughter and 1 month old son walked away without a scratch, but that was not the case for Ana. She was in the back seat wearing a lap seat belt and the impact of the accident literally "cut her in half". Ana shares the dramatic events that happened as she discovered not only a God that heals, but a God that performs miracles! "23 miracles" in fact is how Ana titles her book. The miracle's range from an experienced nurse driving in the car behind her who was able to give her immediate assistance, to the miracle of God's perfect timing of her writing the book where "God's gift to me was closure." God even changed her perspective of the accident from horror to now being one of her greatest memories. I instantly fell in love with Ana as I was reading her story. I felt her pain, I felt her grief, I felt her joy! Her story captivated me from the moment I picked it up. Ana does not claim to be the perfect Christian or to have had perfect faith through her trials. In fact some of her chapters must have been very hard to write about, where she talks about depression and suicidal thoughts. But that is part of what is intriguing about her. She was just an ordinary wife and mom who had an ordinary faith in Christ, until God used an unexpected event to change her faith from skeptical to unwavering! I think we can all relate to her story. She learned that: "merely asking is not enough. You need to believe that what you have asked for will happen ... You need to be spiritually convinced that something will happen, even if it seems unlikely in the spiritual realm." "I have sorely underestimated (the power of prayer) most of my life." "A conscious decision has to be made every morning that you will get through the day no matter what." If you are looking for inspiration that God can do miracles in impossible situations then "Cut In Half" is the book for you! It would also make a wonderful gift to someone recovering from an accident or illness. There are so many wonderful lessons that Ana shares as God began to increase her faith that your faith will increase also as you read her book! ISBN-13: 978-1935265115 I enjoy a good read once in a while especially if it’s about a real experience, a life lesson and if it's a Christian based story. I have received the book “Cut in Half”, by Ana Le Roux the perfect description of the above to review from Bring It On Communications. Do you believe that miracles happen everyday? This is a story of an average 30 something woman who after three weeks of giving birth to her second child is struck by tragedy -a violent head on collision. The force of the impact thrust her forward with such intensity that it literally cut her in half! Ana Le Roux would tell you that she was set to die that day, but instead, after seemingly endless dialogue with God, she relinquished her freedom of choice to Him. Cut in Half tells how in that instant Ana opened her eyes and began to experience the most amazing gift of healing. In her awe inspiring testament of God’s love, Ana proves that miracles are not just an archaic phenomenon found in scripture; they happen every day in a variety of ways. Ana Le Roux is not your average housewife. With a titanium plate embedded in her back and a limp to her walk, she takes every step of life with humility, gratitude and optimism. Ana’s fate was sealed when in a tragic moment; she instinctively and selflessly sacrificed her life in an attempt to save the lives of her children that changed her life forever. What an incredible story of survival and surrender, allowing the miraculous power of God to work in her life and in her body! Each chapter chronicles a portion of her journey and the miracles that took place. 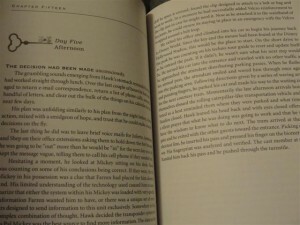 Roux’s explains that at the end of each chapter there are sections and she indicates what each section entails, so that the reader can have a better understanding of her story. The first part of every chapter is about retelling her story. 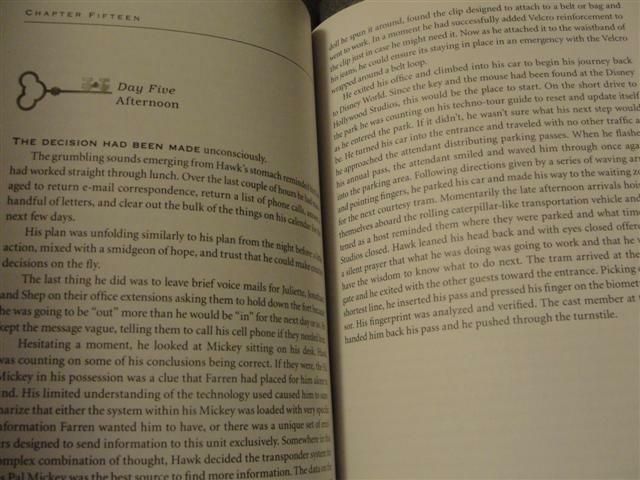 The second section is called “food for thought”, and it’s designed to help you reflect on the preceding story. The third is the “Soul Searching” section. She thought was necessary to include. It reflects on your own life to see all the wonderful things that God has done for you. Reading this book you will find quotes from scripture, mostly seen in the beginning of her chapters. Once I opened the book I could not put I down, it was captivating and visual. It was as if a friend was telling me what had happened to her and the details of her story kept leading me to the next moment. I like how she shares that miracles are not limited to strangers or “special” people, but they are a reality in our lives everyday. She also desires to dispel myths that we come to believe; Phrases, words or clichés that we use everyday that diminish God’s participation in everything we do, words such as luck, coincidence, destiny, being in the right place at the right time. You take away from this story a sense of hope, gratefulness, and believing that miracles do happen everyday, big or small. It is a touching story that will make you view life differently. *I received a copy of this book for free, in exchange for my honest review. For more reviews on books like these go to Tell Us the Truth Reviews. "Adorable, inside and out...this is just what young readers need!" This is a unique way to teach children the story of David and a whopper of a giant named Goliath! A little rock named Smoothie who lives in a creek wants God to have a purpose for him. As he lays in his creek, he hears the whopper Goliath saying bad things about God and it sounds like maybe a fight will start because of what he hears on each side of his creek. Then David comes along looking for just the right rock to to a job God has for him and suddenly Smoothie realizes the purpose God has for both Smoothie and David. This is an adorable book inside and out! At first I thought it was kind of ‘busy’ inside, but as I read and looked at the illustrations, I realized that this is just what young readers need! Since it is several chapters, it would be a wonderful Bible study for Ages 4 thru 8. The book is well laid out and I love the colors and awesome illustrations. The pictures make the story a lot of fun, and give readers a better understanding of what they are reading. Run out and buy a copy of this great book for your child’s library! I rec’d this book from the publisher through Bring It On Communications to read and review. I was not required or expected to write a positive review. The opinions in this review are mine alone. Rock-A-Teller author Gerald Mittmann has worked with children in ministry since 1978, organizing and directing children’s Bible camps, Sunday children’s sermons, Awana clubs, and speaking at mid-week elementary Christian school chapels. He graduated from Talbot Theological Seminary in 1986 with a Master of Divinity degree in Bible exposition, and then went on to receive his Doctor of Ministry degree from Talbot/Biola University in 2005. He has been a pastor to families and children in three evangelical churches, and has led several biblical drama teams to the mission fields of Mexico, Honduras, and Africa’s Congo (DRC) to act out biblical plays which he wrote. "Join the Uncle and his family as you read this wondrous Christmas Story this year." Eben Johnson, the owner of a home-improvement store forbids his employees to say “Merry Christmas,” and winds up in a “Christmas Carol” experience, where he faces some sobering realities in a dream–or is it a dream? Uncle Eben’s Christmas looks at the state of an unbeliever who profits from Christmas, yet gives none of the glory to God. It’s a story of one man who is surrounded by Christians who he finds as poor, deluded, misguided individuals, yet is in his own bleak state about to get the wake-up call of a lifetime! Uncle Eben’s Christmas is a wonderful book telling stories of Christmas. As owner of a home improvements story, Eben's main goal in life is making money and Christmas is a wonderful time to do this. Not being a Christian, he doesn’t let his employees say “Merry Christmas” to the customers, they have to say Happy Holidays to them instead. Earlier in his life, he had made a decision not to follow Christ and he wanted nothing to do with God, he didn’t go to church and didn’t want anything to do with church either. He does however go to the Christmas program at church during Christmas to see his niece and nephew in the program. Finally one day an angel speaks to Uncle Eben, giving him insight of his life in a long ago time in a small church when his decision was made about the Lord. As the angel was still speaking to him, he let him see what his life would be like without the Lord. This changes Eben’s life and the life of his home improvement business. Join the Uncle and his family as you read this wondrous Christmas Story this year. I want to thank Arielle Roper at “Bring It On” communications and Deep River Book for providing a copy of this book to read and review. I was not expected to write a positive review. The opinions in this review are mine only.